Winter is coming ... and so are the germs. You feel it all at once. It builds behind your eyes and deep inside your sinuses with a foreboding tingle. It tackles you faster than the ‘85 Bears defense. Your body knows it, and now you know it: you’re getting sick. But guess what? Germs, bacteria, and viruses don’t work around your schedule. They come tearing in with all their friends: headache, chills, fever, body aches, sore throat, congestion, fatigue, and, if you’re lucky — a barking cough! 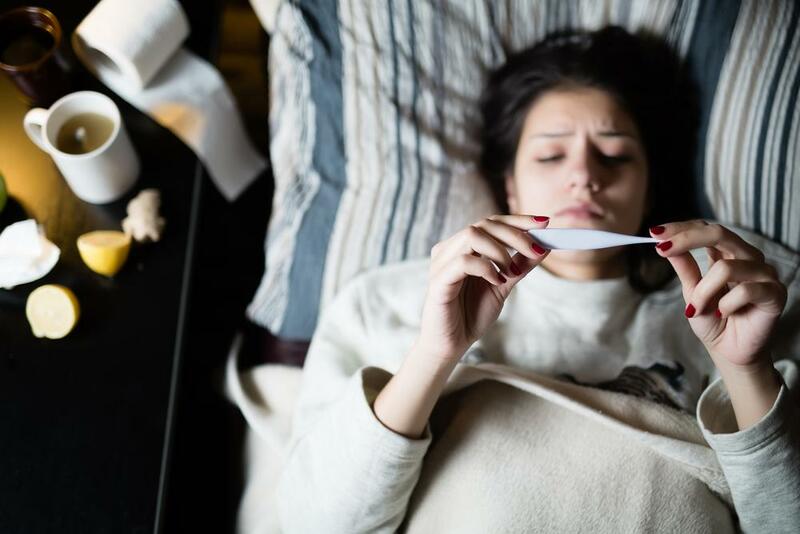 Flu viruses and colds can strike at any time, but they’re most common during fall and winter. The Center for Disease Control reports that most adults have two to three colds per year, and anywhere from 5% to 20% of the US population will catch the flu. 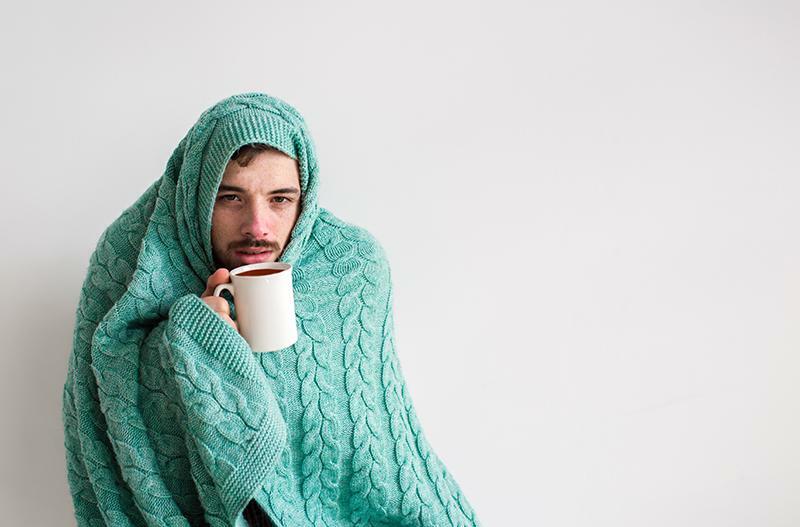 There is no cure for the common cold, and even a flu shot can be rendered useless if you’re faced with a particularly strong strain. But don’t succumb to the sickness just yet. There are plenty of homeopathic remedies for a cold or flu, and if they’re taken as preventative measures, you can lower your risk of even getting sick in the first place. But if you fall victim to days of miserable bedrest and ruined plans, you don’t have to sweat it out or solely rely on drugstore medications. With just a few powerful ingredients like ginger, raw honey, coconut oil, and apple cider vinegar (ACV), you can help ease the discomfort of a cold or flu while you heal from the inside out. While the ingredients for these homeopathic remedies are simple, there are some specifications. Before you run to the store with a crisp $10 to buy a lemon, ACV, and honey, realize that you need to buy organic, unfiltered ACV, organic, raw honey, and fresh ginger. In order to reap their natural antibacterial, antiviral, and antioxidant properties, you need to buy these items at their natural, unprocessed state. Remember: the information below is based on our research into homeopathic remedies for cold symptoms, but you should always consult your doctor before making changes to your healthcare regimen. Some natural supplements may not be suitable if you are taking certain medications, so be sure to contact your doctor before adding a supplement to your diet. This detox tea is first on the list because it’s an all-in-one remedy that targets all of your cold symptoms. It’s so packed with vitamins and healing properties that it’s also a great option to sip all year long as a preventative measure. Why is this detox tea great? I’m glad you asked. Organic ACV contains vitamins A, B1, B2, B6, C and E — all of which have individual and combined health benefits. It also contains potassium, calcium, and malic acid. Malic acid gives ACV antiviral, antifungal, and antibacterial properties. ACV may not have the best taste on its own, but this combo of ingredients packs a punch to those grimey virus cells that have hijacked the mucous membranes in your body. Plus, when you add fresh lemon, honey, ginger, and cinnamon, it tastes great! And once you feel your symptoms easing, you’ll realize it’s just a warm cup of health. While water warms in a kettle, measure out your honey, ACV, and cinnamon, and pour it into a cup. Pour freshly boiled water into the cup and stir. Squeeze the juice of half of a lemon over a strainer into the cup. Once it’s cooled down, you can add more cinnamon or honey to taste. You cough to clear irritants or phlegm from your throat, and it’s generally nothing to worry about. But a sustained cough can stem from a number of more serious conditions, so if you are having difficulty breathing or coughing up blood, see a doctor immediately. If your itchy throat or nose is resulting in a dry or phlegmy cough, try these soothing homeopathic remedies. Make a simple tea by adding 12 slices of ginger root to 3 cups of warm water. Allow it to simmer for 20 minutes before removing from heat and straining. You can add lemon for taste, and if it’s too spicy, add more water. Bonus benefit: if you have the flu, ginger is the number one natural nausea remedy. 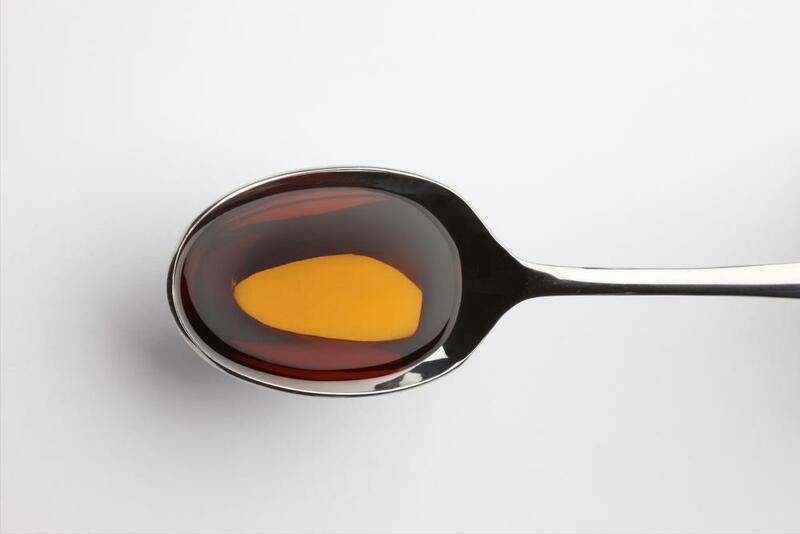 Brew a much tastier cough syrup using raw honey, coconut oil, and lemon juice. To ensure a good night’s sleep — add a shot of bourbon! Take a hot shower. Close the windows and door in your bathroom to create plenty of steam. You can also place a hot, wet towel over your face and breathe in the steam — it’ll open your sinuses! Follow this DIY tea recipe using fresh thyme leaves. Thyme is known to relax muscles in the trachea and reduce inflammation. Steep 2 teaspoons of crushed thyme leaves in a mug of boiling water for 10 minutes. Strain the leaves and add honey and lemon for added scratchy throat relief. Make sure to drink lots of fluids, both in the teas listed above and good ‘ol H20. Staying hydrated not only thins the mucus in postnasal drip, but it also keeps your nose and throat membranes moist, which can reduce your need to cough. A sore throat is a common symptom of a cold or the flu. It’s also a common result of talking too much, screaming loudly, sleeping with your mouth open — and the list goes on. Whatever the cause, your throat is sore because the cells in the mucus membranes are inflamed and swollen. If you can rule out strep throat and allergies as the culprit of your knifey throat, there’s not much you can do except tough it out. Most sore throats are caused by a virus that doesn’t respond to antibiotics, so even if you normally run to the doc at the first sniffle, your doctor won’t have a magic cure. The first step is to get lots of rest so that your immune system is as strong as can be to fight in your honor. Next, try one of these homeopathic remedies to soothe your throat and ease the pain as your body does the hard work for you. Gargle with warm salt water to reduce swelling and ease pain. Add ½ teaspoon of table salt to 1 cup of warm (not boiling) water and then gargle and spit. Repeat up to three times per day. Use a garlic clove as a throat lozenge. It won’t win you any points with your significant other, and it tastes just like you think it would — but the relief is worth the hot breath. Garlic contains the compound allicin, which can kill the bacteria that causes strep and helps fight the germs that cause irritation. Make some chamomile tea. Chamomile acts as a natural painkiller and has anti-spasmodic properties that will help your muscles relax. Making a drugstore run? 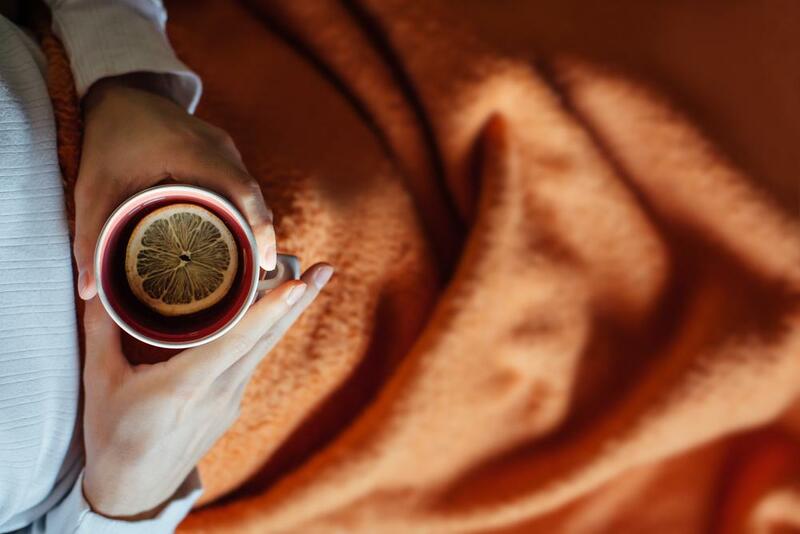 Look for lozenges with honey and lemon to soothe your sore, scratchy throat. When your entire head feels like it’s filled with cement, essential oils are your best friend. Tea tree oil is a great option because it has antibacterial and antiviral properties which can fight off your sickness. The strong smell of tea tree, eucalyptus, or peppermint oil can also help dislodge congestion when inhaled. 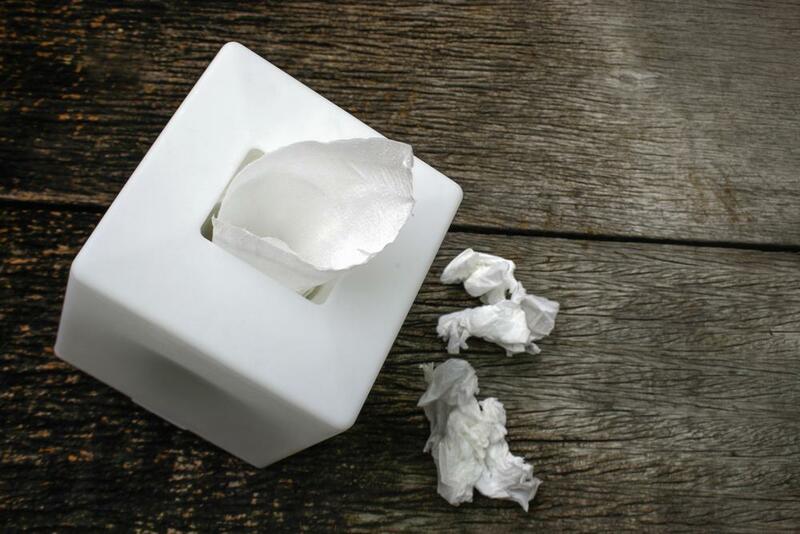 Try one (or all) of these natural ways to loosen congestion from a cold or flu. A hot shower or bath works, but to step it up a notch, add a strong essential oil like tea tree oil, peppermint, or eucalyptus to a large bowl and then fill it with boiling water. Position your face over the bowl, taking care not to get too close, and then drape a towel over your head to encapsulate the steam. Take deep breaths and come up for air when you need to. If you aren’t stoked at the idea of a sweaty face steam, then you can also make your own chest salve using coconut oil and peppermint oil. Melt down the coconut oil and pour it into a heat safe, airtight container. Mix in the essential oil and seal it while it cools down. Once it is completely cooled, you can rub it on your chest or under your nose — just avoid the eyes and be sure to wash your hands thoroughly after handling. Use a Neti Pot. When your sinuses are swollen, stuffy, and congested, the excess mucus is unable to drain, which allows bacteria to breed. Rinse your nasal passages to clear out bacteria, phlegm, and irritants. Simply mix warm water with 1 tsp of salt and gently pour it down your sinuses. This sounds odd, but it works! 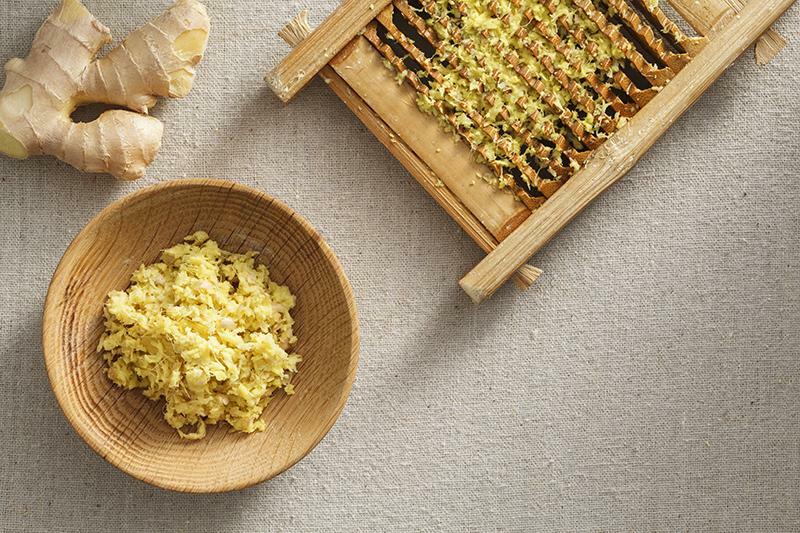 If you can ingest ginger in any way, shape, or form — you should. Ginger is like coconut oil and apple cider vinegar in that its health benefits never seem to end. Ginger contains chemicals called sesquiterpenes. Sesquiterpenes inhibit rhinoviruses. Rhinoviruses are the most common group of cold viruses. Ginger boosts circulation and in turn warms your body. This sends increased levels of oxygen to your cells and induces sweat, which helps rid toxins from your system. Ginger has natural antiviral properties that battle it out with whatever nasty bacteria is floating around inside your body. Ginger has anti-inflammatory and antihistamine properties which relieve pain and ease congestion. Ginger can act as a very mild sedative — for those of you who don’t want to shoot bourbon! Ginger helps loosen and remove mucus from your respiratory system. Do you have a natural cure-all or family recipe for guaranteed health? Share your favorite homeopathic remedies in the comments! "Anywhere from five to twenty percent of Americans catch the flu per year." The farm supplies vegetables to campus dining halls and restaurants, a university-owned retirement community, and a small CSA operation.